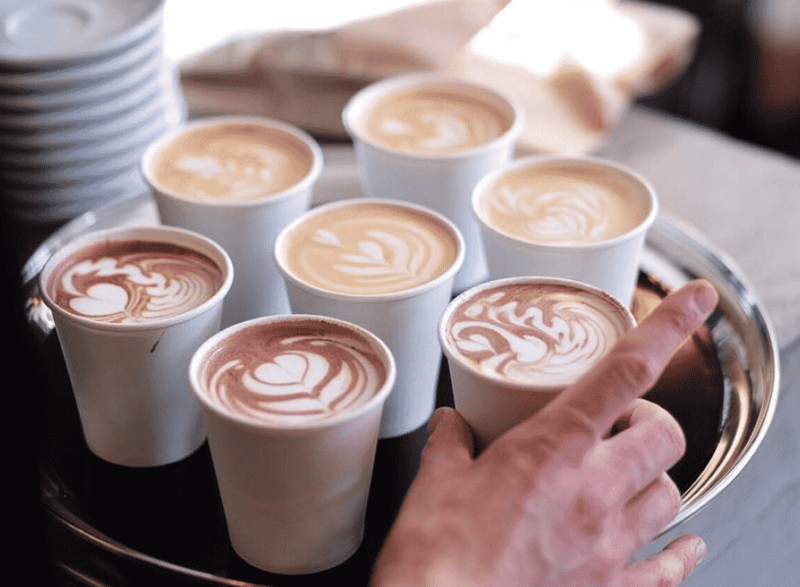 With a third wave of coffee sweeping across the UK over the last decade, we wanted to share the very best coffee shops across the nation that you simply can’t miss out on. Following on from Big 7 Travel’s list of the 50 best coffee shops in Europe, our team is now shining a caffeinated-light on the UK. 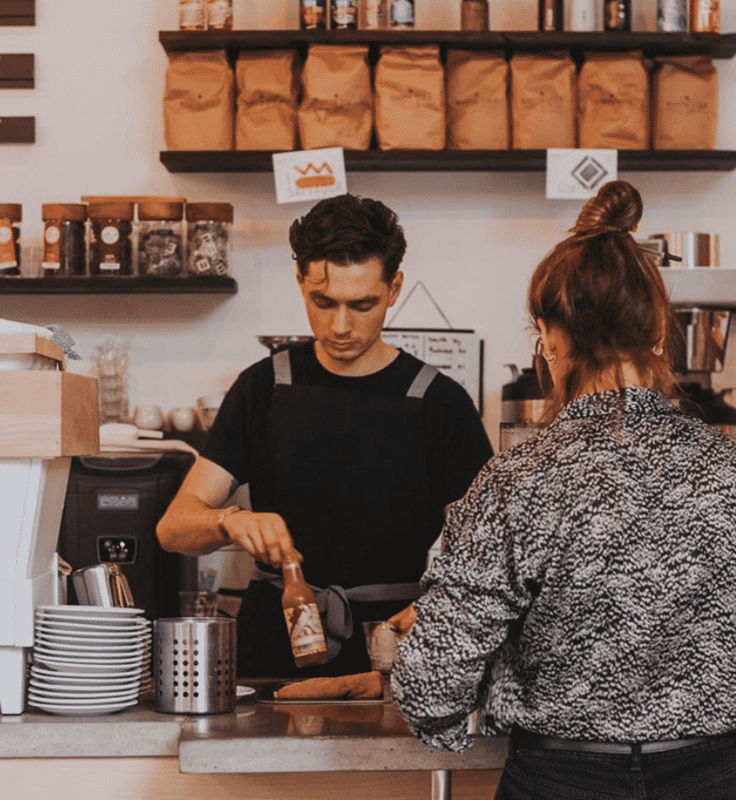 We focus for the most part on small independent coffee shops who go above and beyond to bring new flavours and techniques to their local communities. The businesses and people who are super passionate about coffee, in terms of how they source, roast and serve it. Think we’ve missed anywhere particularly special? 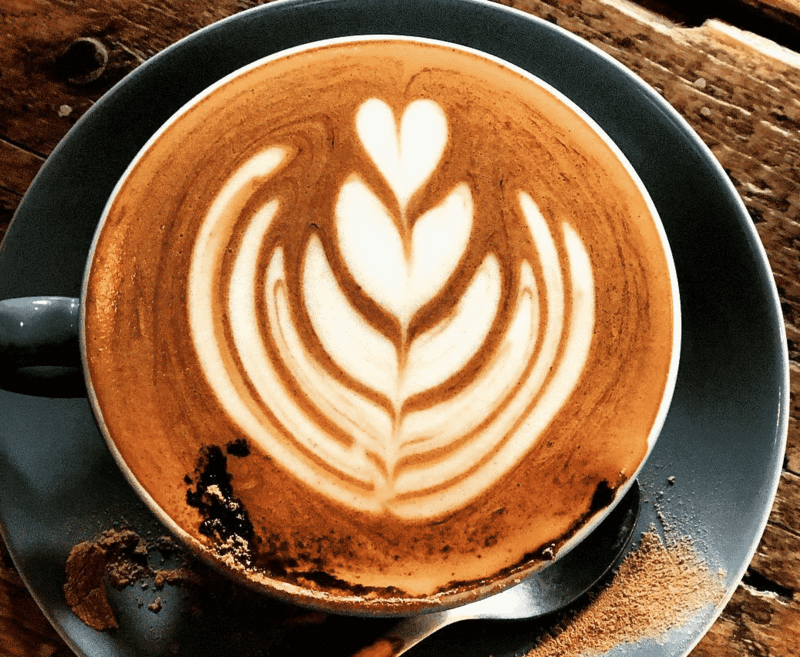 Let us know your top coffee spots, because you can never have enough good coffee! 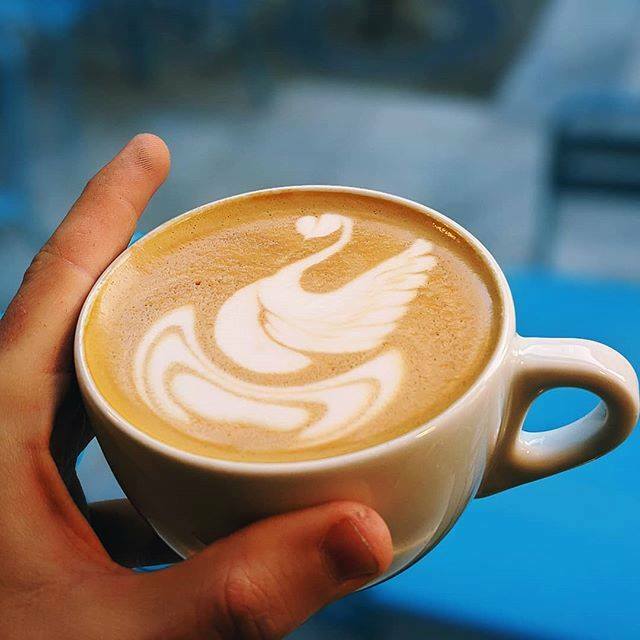 Society Café is an independent speciality coffee shop in the heart of Oxford city centre. 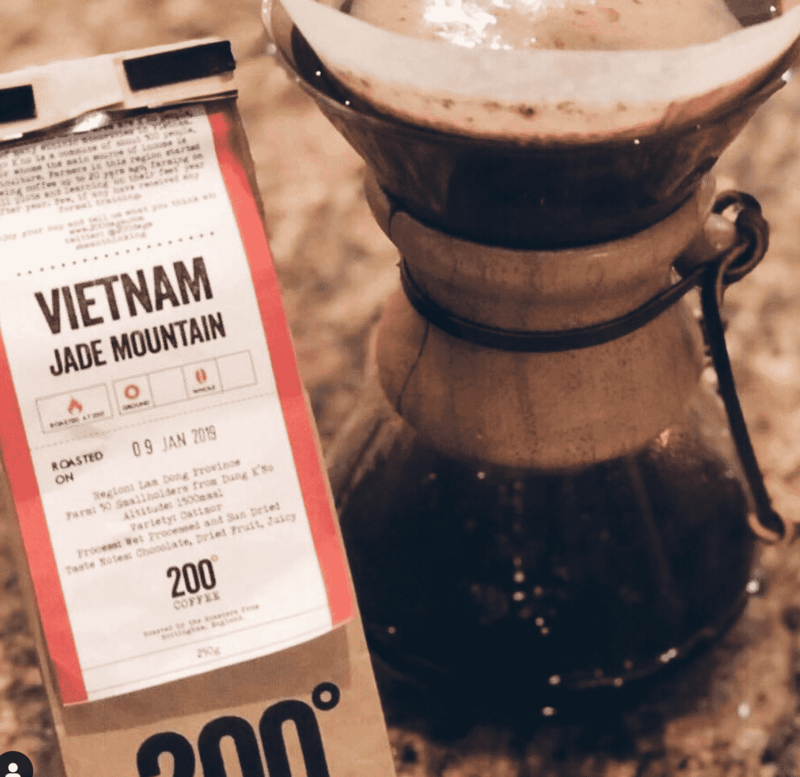 Their focus is on making great coffee sourced directly from the best coffee producing farms in the world and roasted by the best roasters in the world. Perfection? 100%. 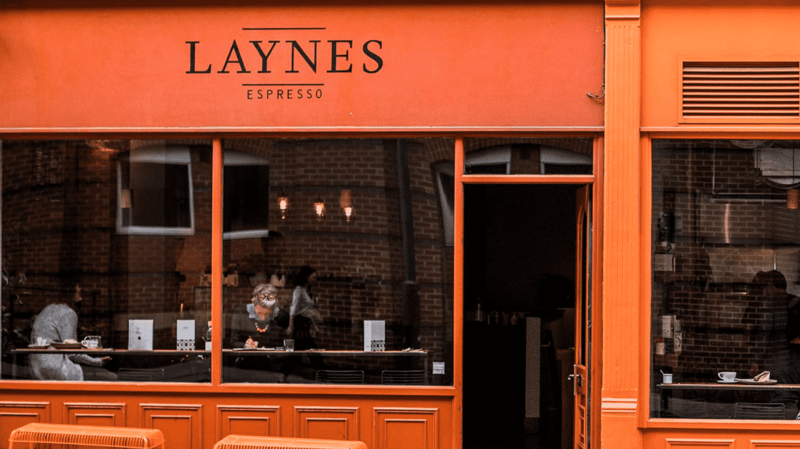 Laynes has been serving the people of Leeds fantastic coffee since 2011. 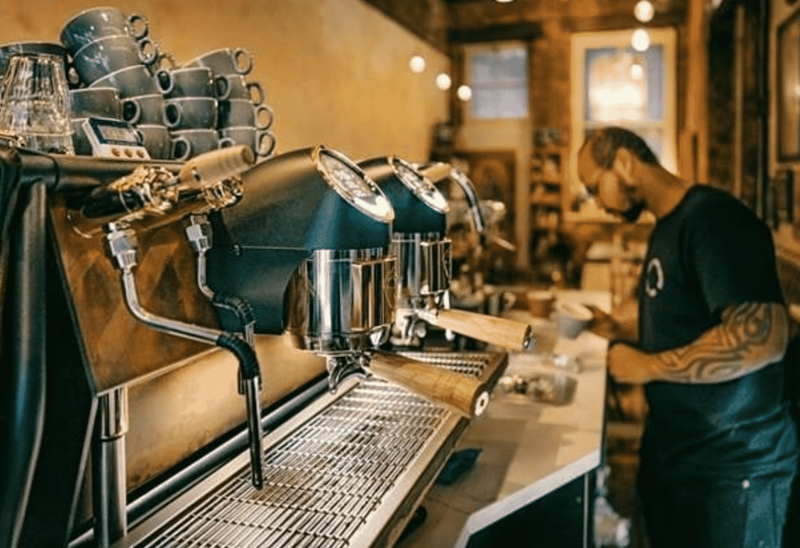 An espresso bar in its foundation and purpose, it’s close to Leeds Train Station with many of its commuters relying on them for consistently great coffee drinks. This is a cafe that has absolutely everything. 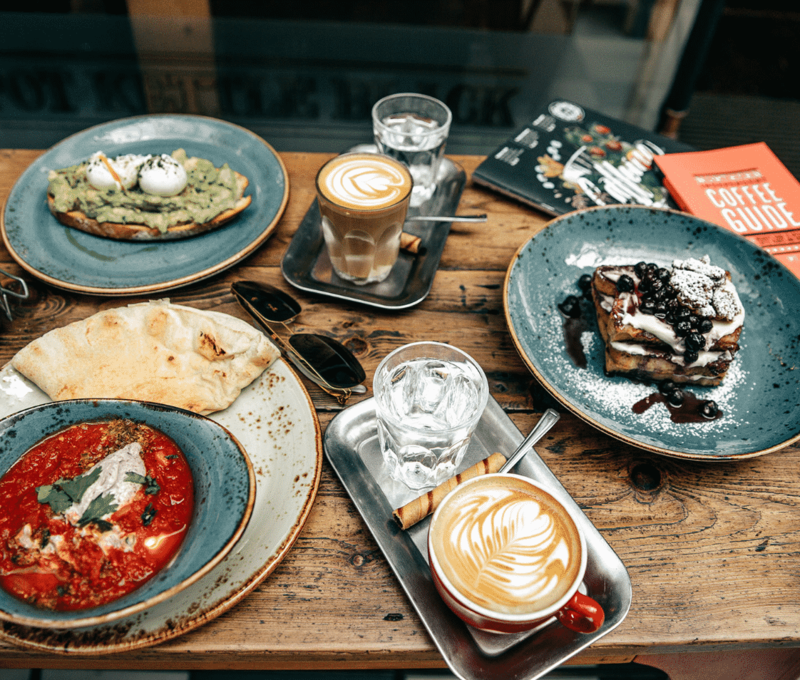 We’re focusing on coffee here – which is absolutely outstanding – but their breakfast and lunch menus are also fantastic. Plus, it’s a great place to chill with some board games in the evening too. 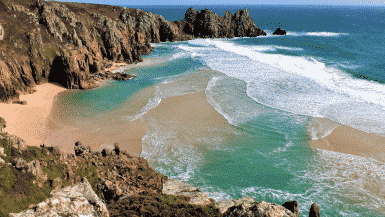 With three Cornwall locations and four in London, you’re never too far from an Origin store in the south. 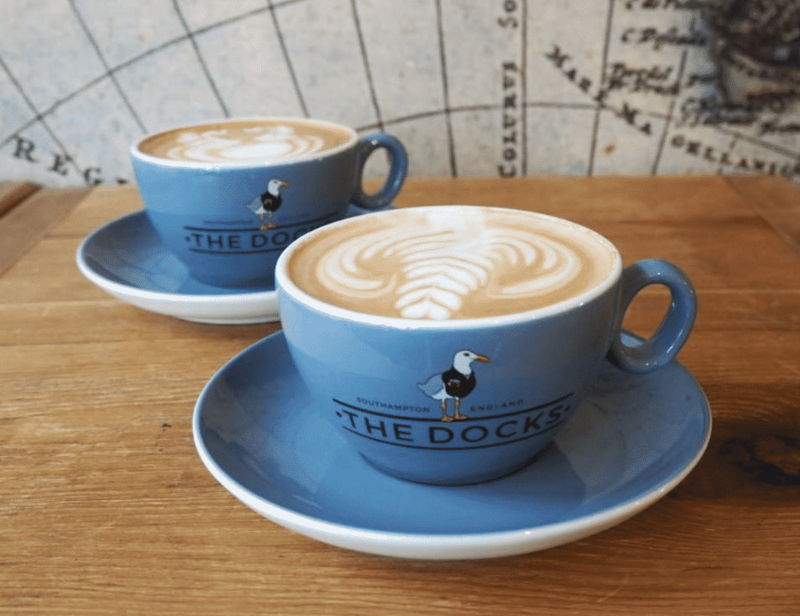 Our top pick is their cafe in the idyllic fishing town of Porthleven, Harbour Head is the perfect place to sample their monthly, single origin feature coffees and enjoy the maritime views. 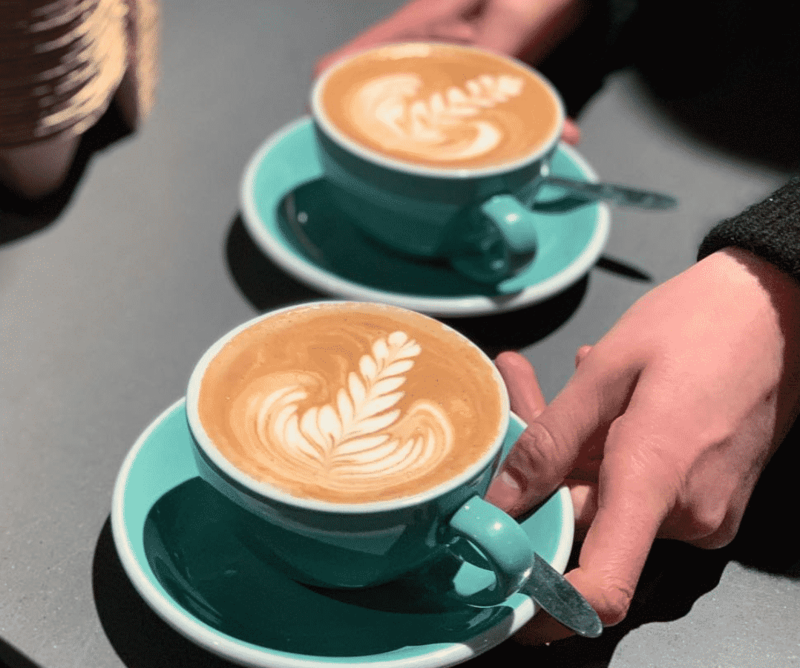 Owned by two friends, Bruce and Luke, Foxes Cafe is a genuinely friendly coffee shop with beans roasted by the lads themselves. 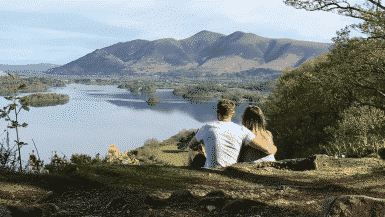 Their ethically sourced coffee is so good that they now supply it to many other stores in Cumbria and beyond. 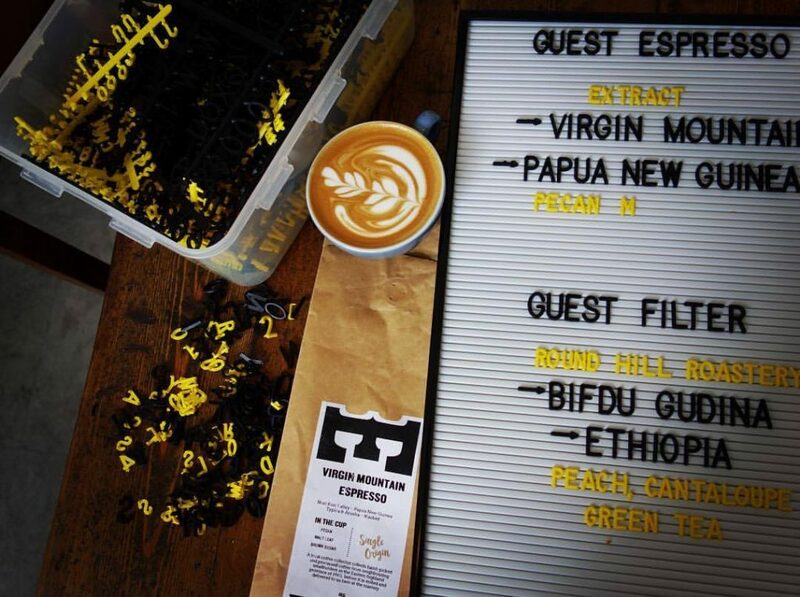 Try the Rwanda Single Origin for a real flavour punch. 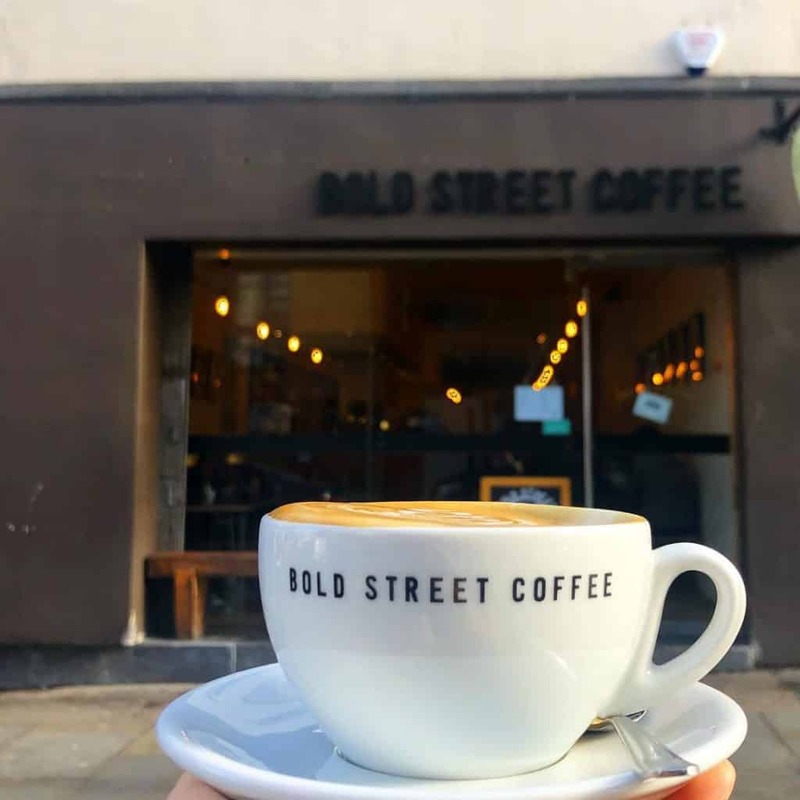 This award-winning coffee shop has found its home in Liverpool yet again after landlord issues meant they had to temporarily vacate. Now, they’re back serving their deliciously rich coffees, treats and good vibes yet again. Don’t miss out on this spot. 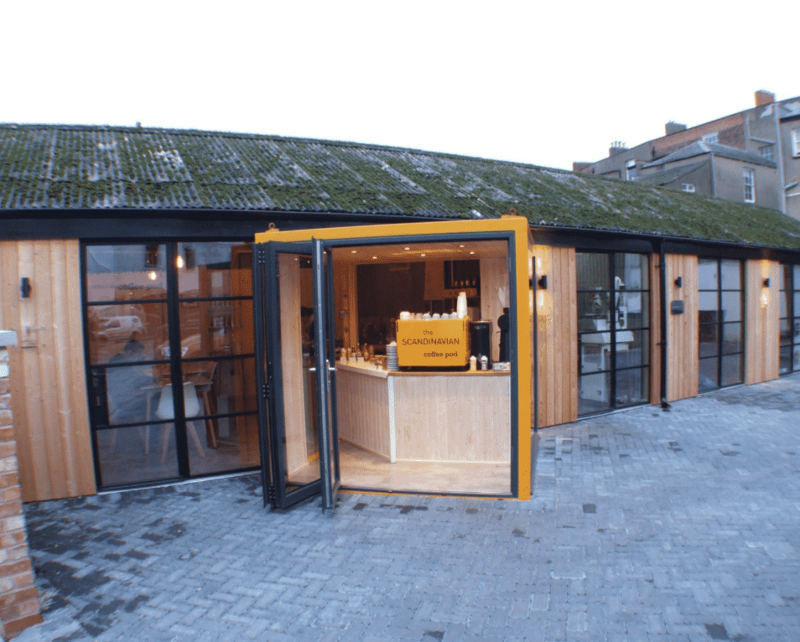 This stylish coffee pod in the heart of Cheltenham focuses on ethically and carefully sourcing seasonal coffee beans from the world’s finest farms. The beans are roasted next door and you can choose from espresso or V60 filter options. Renowned for its artisan coffee and tasty seasonal food offerings in Central London, Prufrock is a real treat to visit. 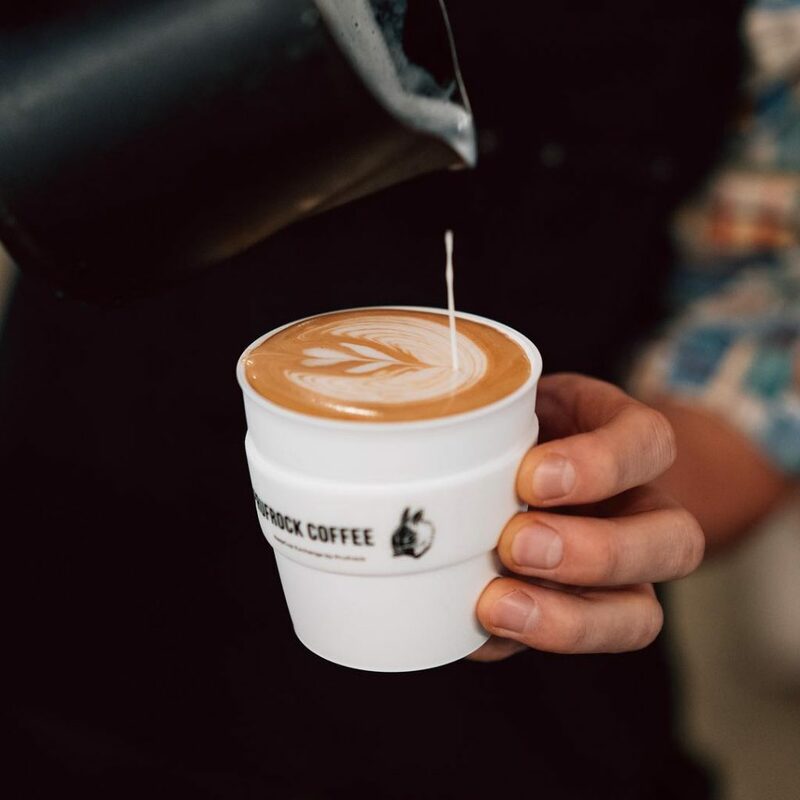 They serve a huge range of beans, including Square Mile Coffee, and a variety of our favourite guest roasters from all over Europe such as Five Elephant, Koppi Coffee, Coffee Collective and Drop Coffee. 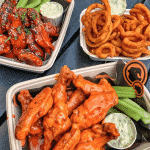 Although they now have a second location in Birmingham, we love the Worchester original. 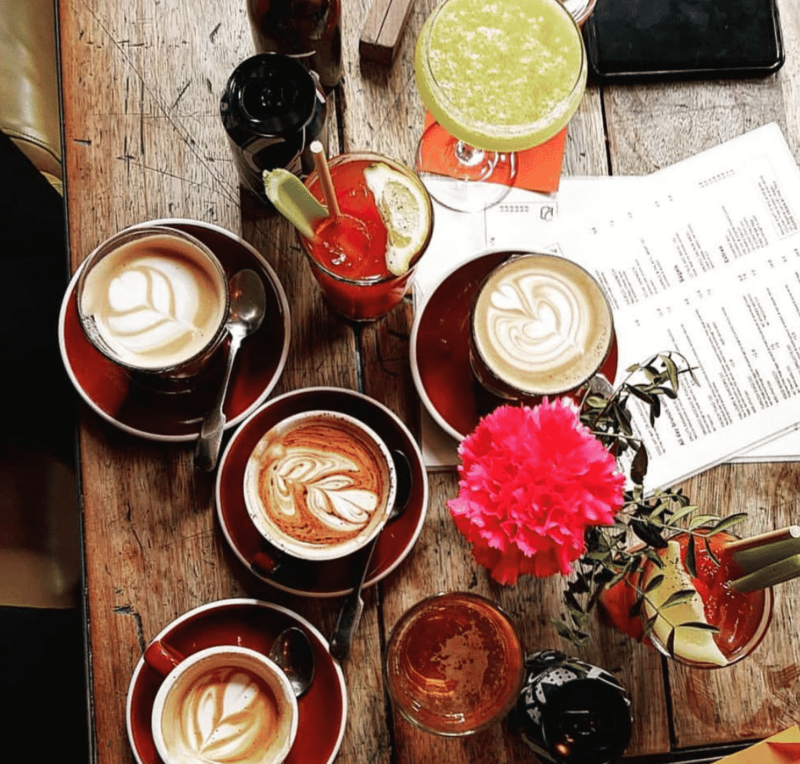 It’s the perfect venue for brunch with friends, a quick cappuccino in the Yard or to work on your latest project with like minded individuals in the alley. 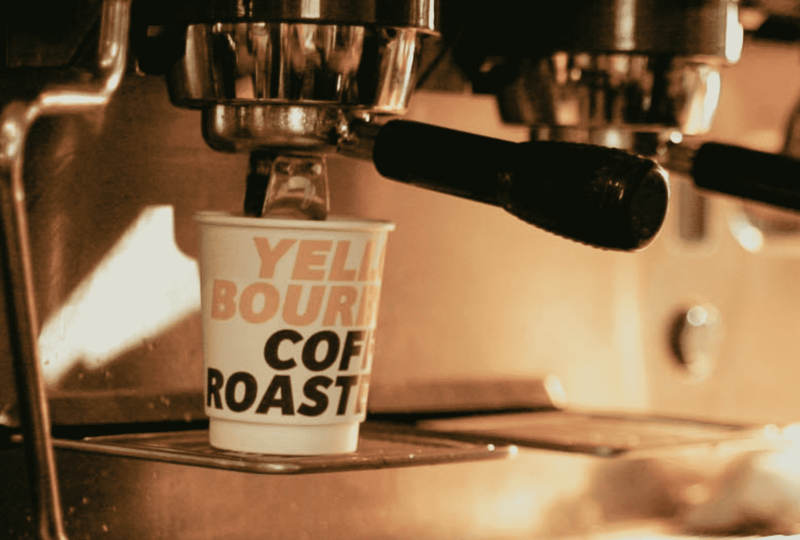 Bould Brothers Coffee are truly passionate about all things to do with that tasty bean. 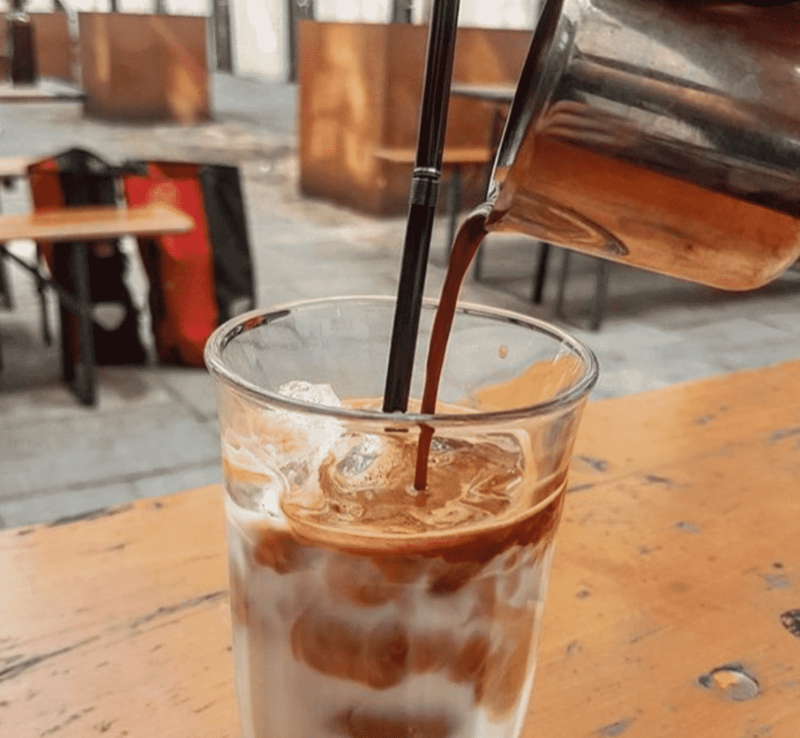 Throughout the year, they will change the coffees that they offer based on the season and what is tasting best at the time, they double filter their water and they use only organic milk. They get the majority of their coffee from the guys over at Bad Hand Coffee who are also based in Bournemouth. 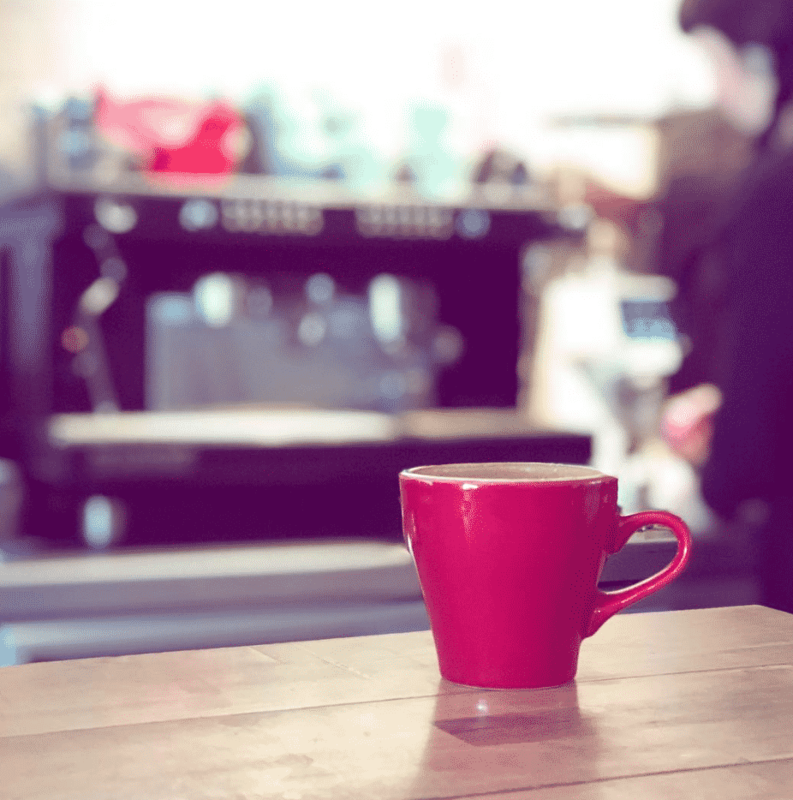 They also work with other small independent roasteries from all over the UK to supply delicious beans for their guest espresso and batch-brew coffees to offer you something a little bit more exotic at the start of your day. What coffee is available to order here changes weekly and is influenced massively by the fact that coffee tastes better if you embrace the seasonality of coffee growing. 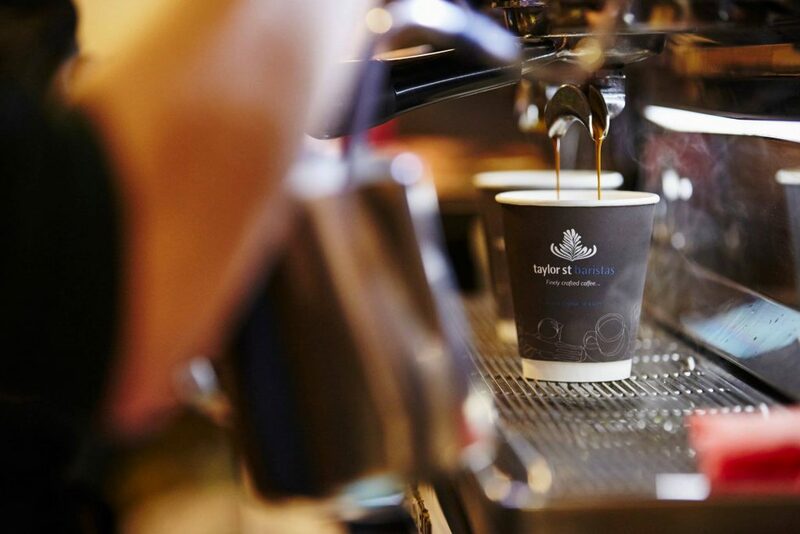 They source their beans from the world’s leading roasteries and you can taste the quality in every cup. Pot Kettle Black is an award-winning speciality coffee store based on the ground floor of No.1 Spinningfields. 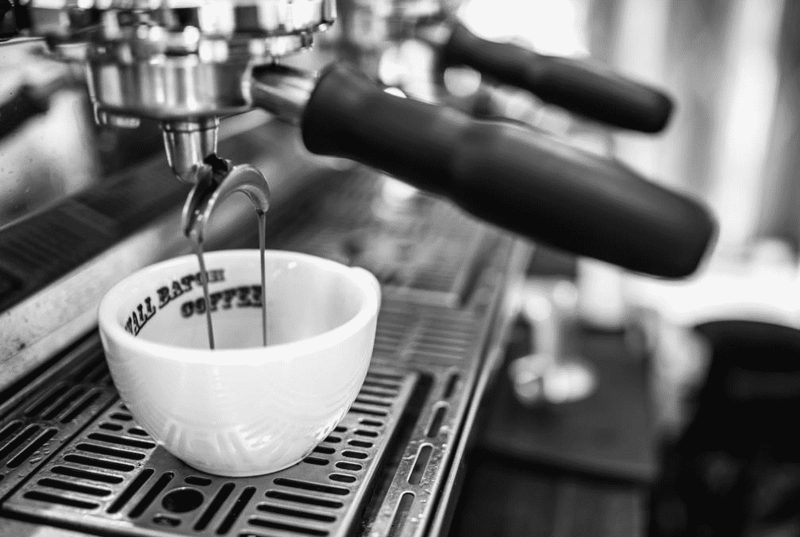 As well as tasty brunch dishes, they’re passionate about coffee and dedicated to quality. Looking for something different? Get the ‘Wilson’: espresso poured over coconut water. 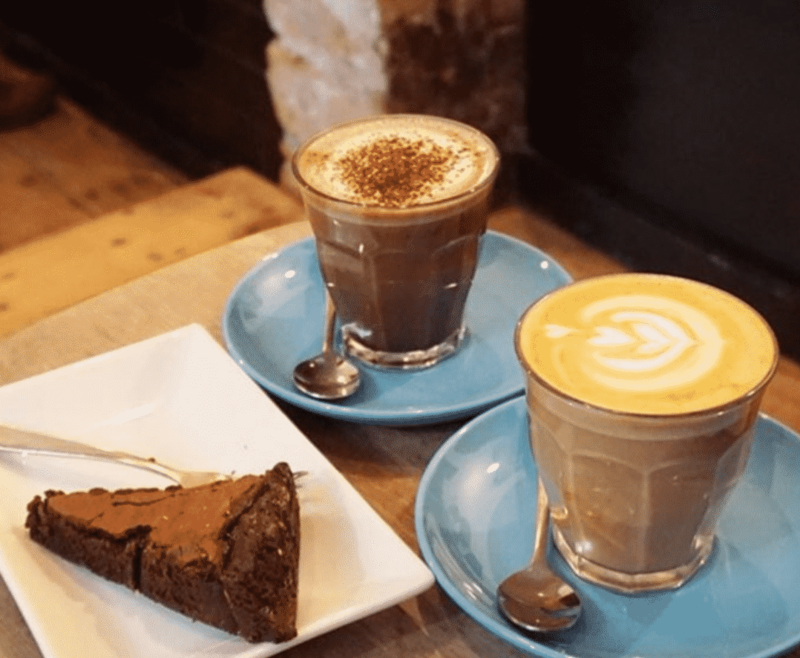 You’ll find this cute cafe in Fossgate, York, serving up some of the best coffee in the county as well as great tea and tasty treats. Their furniture is reclaimed from the 1600s, which makes this a wonderfully unique and charming place to spend some time. 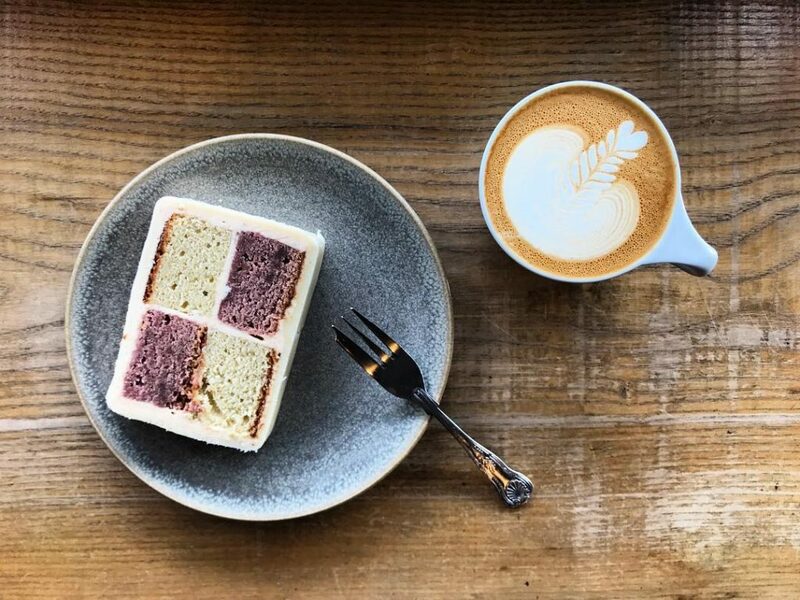 This cosy, laid-back cafe sources all its ingredients from local producers, and the coffee here is as good as you’ll find in higher end speciality coffee shops. It’s charming and welcoming, and the cakes are so droolworthy you’ll be on your third cuppa before you know it. 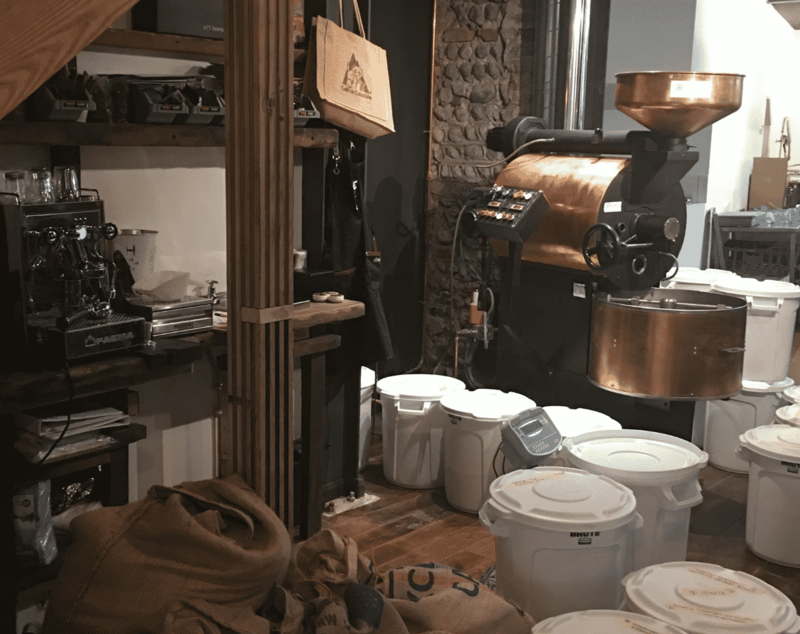 You’ll find this slick coffee store/roastery in Hackney, in a railway arch where everyone seems to have tattoos and ride a motorcycle. Don’t have either? Don’t worry, all coffee lovers are welcome. 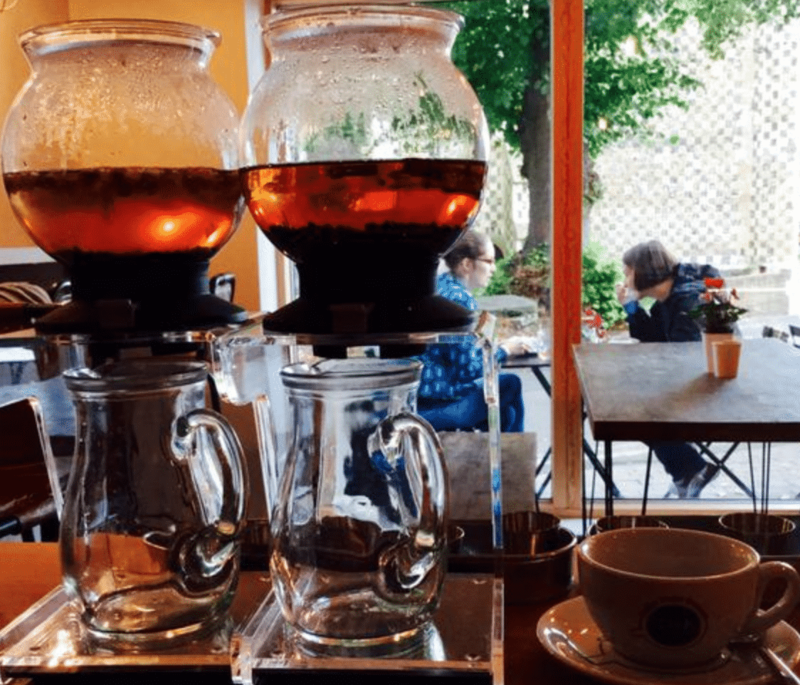 Once you’ve finished the coffee take a walk around the 7 most Instagrammable spots in London. Root Coffee uses beans from forward thinking roasters from the world over, where their knowledgable baristas then develop brew recipes unique to the individual bag of beans. 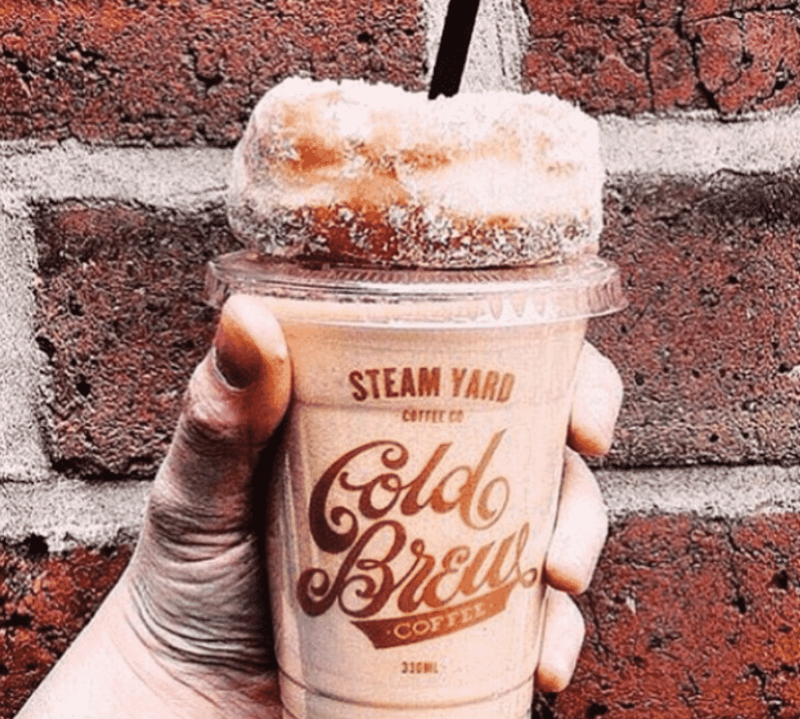 This is a coffee experience where you’re guaranteed to try something new. 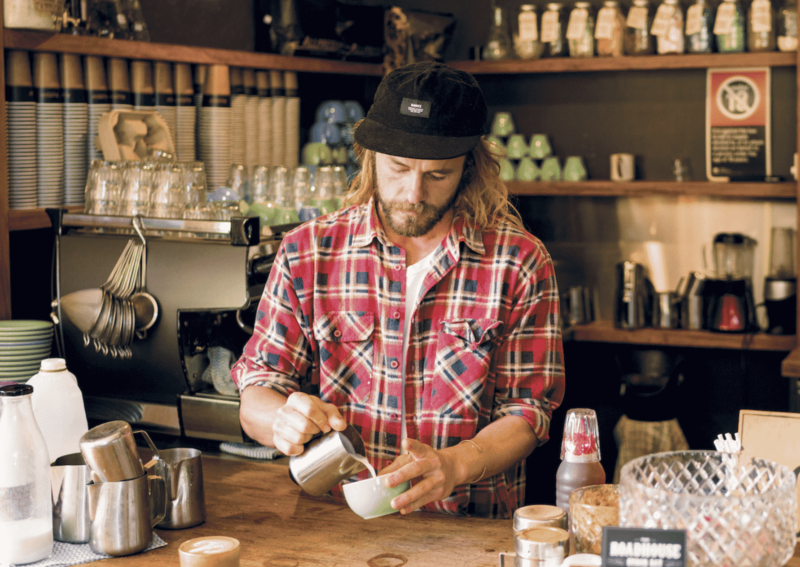 This popular New Zealand chain consistently delivers amazing specialty coffee. 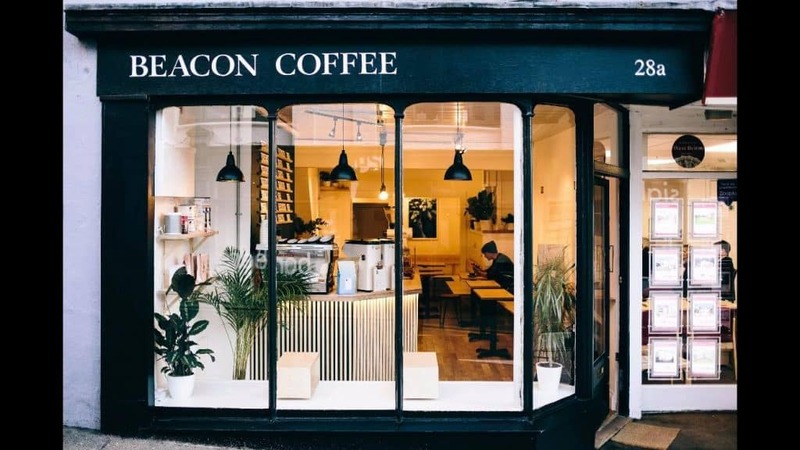 This Dalston store is the UK base for roasting, technical support, barista training – and serving locals a damn good coffee. 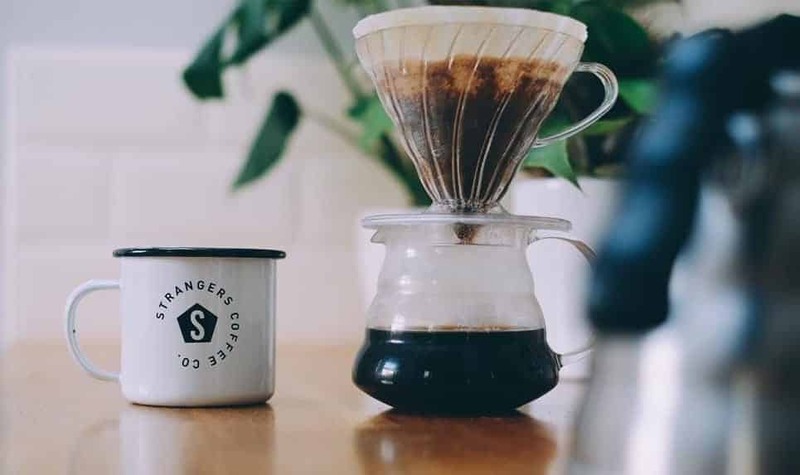 Strangers is currently offering roughly five different coffees daily from around the world, working closely with some of the top coffee importers and roasting the coffee on site in their roastery. Staff are highly passionate about the coffee and always willing to answer coffee-related queries no matter how busy they are. 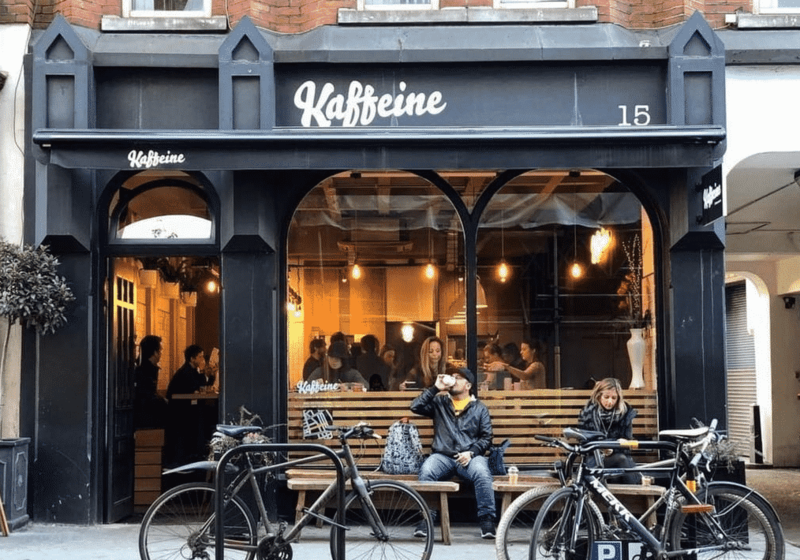 The founders set up Kaffeine after being inspired by the coffee culture in Australia and New Zealand. 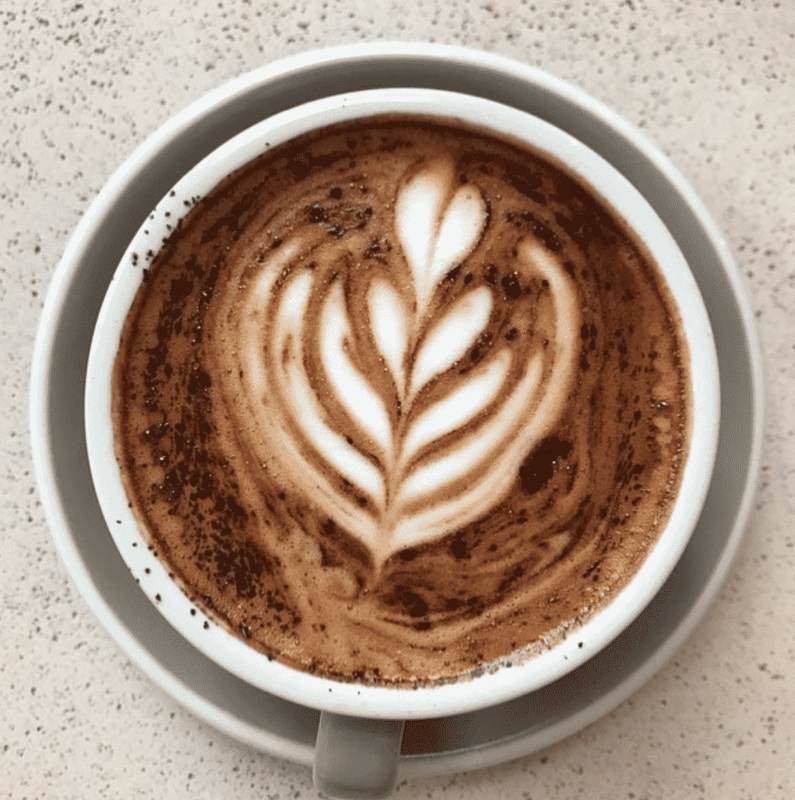 It’s an independently owned cafe and espresso bar with two locations just five-minutes walk from Oxford Circus or Tottenham Court Road. Their customers are all super advocates of the amazing brews they push across the counter on a daily basis. 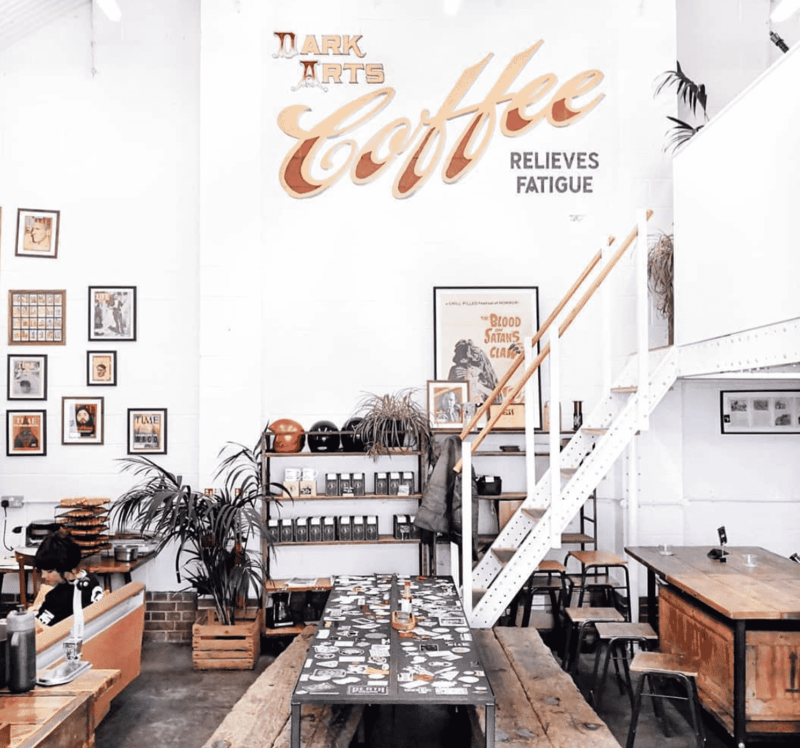 This hip store serves serve single origin coffee and offers a choice of their fresh beans roasted on site or a guest decaf. As a micro roaster, they roast little and often to ensure that their coffee stays fresh and tastes great – and oh boy does it taste great. 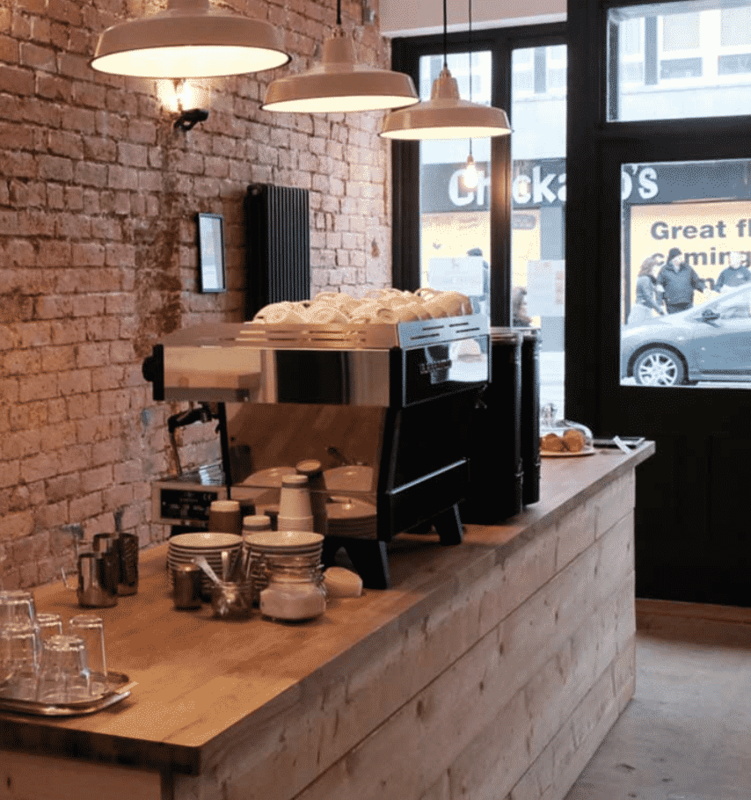 The Chief Coffee is a slick, bright and airy place where the La Marzocco coffee machine is in pride of place on the counter. They serve the finest coffee from Allpress, Workshop Coffee and The Barn Berlin. Oh, and you can also play on 10 Pinball machines from the late 90’s and present day that are in the cafe. 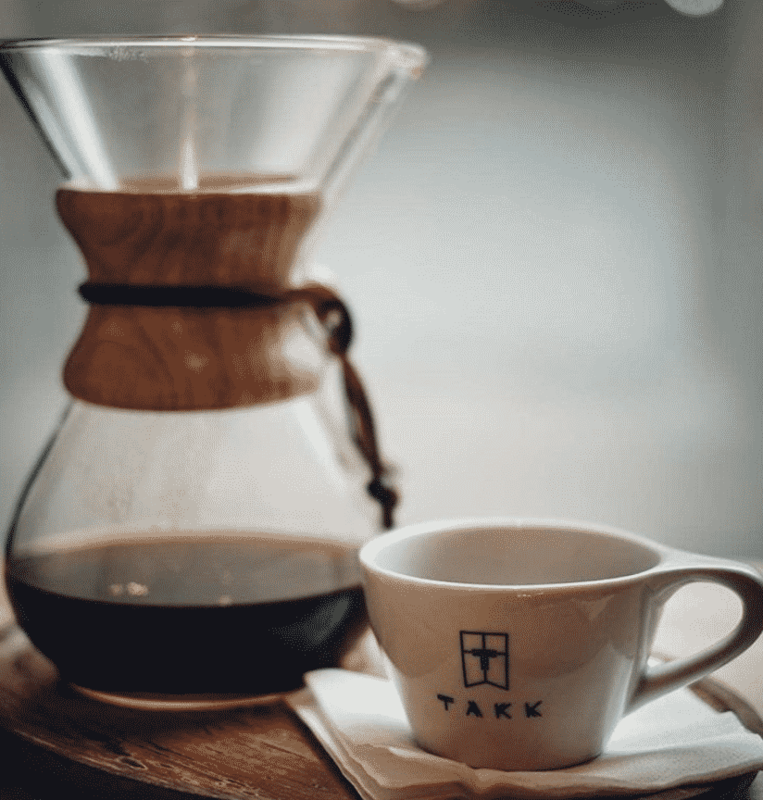 Takk is a simple room in the Northern Quarter that’s been pushing the Manchester coffee scene forward for years. Stripped back benches and a room full of co-workers sipping drinks from their big wholesome mugs. Great simple breakfast options too. Once you’ve finished the coffee take a walk around the 7 most Instagrammable spots in Manchester. 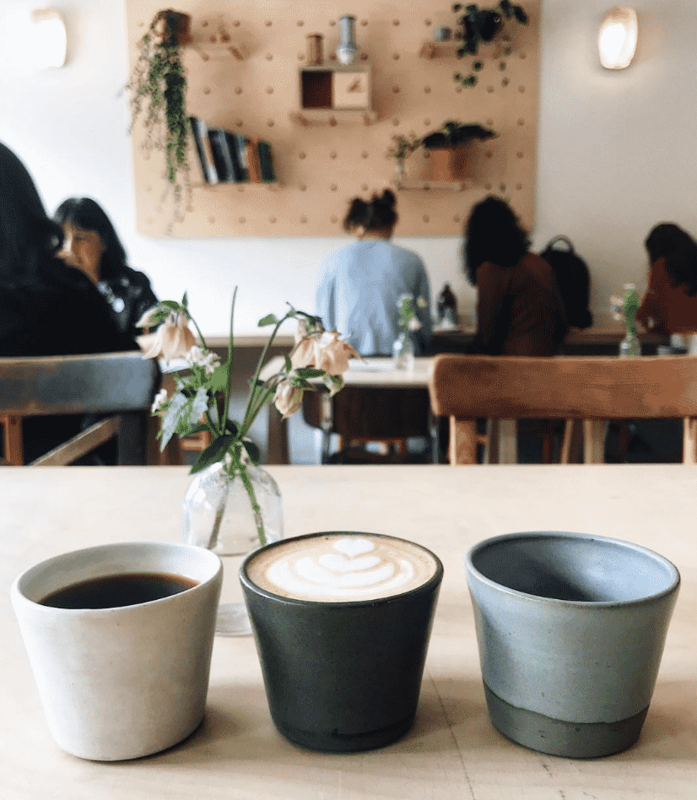 Sheffield’s coolest coffee house is a buzzing space where locals and visitors alike come to sip on freshly roasted coffee and homemade donuts. The owners are super friendly and will happily recommend you a new brew to try. They have two spots in London, with their Tavistock Place spot also serving brunch alongside their truly excellent coffee. For the original experience head along to their first shop on Store Street. 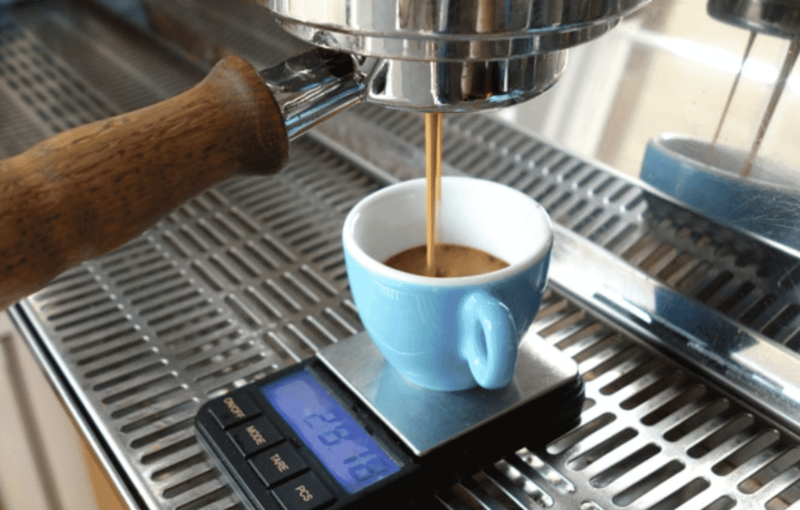 No fuss, just really great quality coffee prepared by professionals. This beaut has done more for bringing great coffee to the masses in the south of England than any other business. 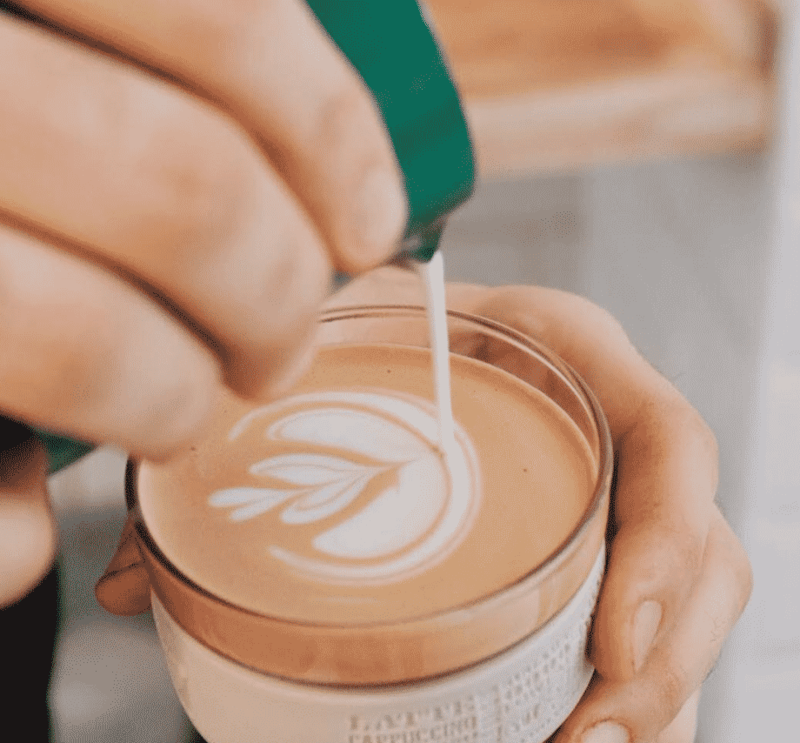 Their flagship store is still the best, but as they branch out across the country and share their farm-to-cup ethos the standards stay as high as ever. Once you’ve finished the coffee take a walk around the 7 most Instagrammable spots in Brighton. This husband and wife team started the business back in 2011 and now have three shops that serve absolutely amazing baked goods and bread, that all feature organic ingredients. The food is good, but the coffee is simply out of their world. 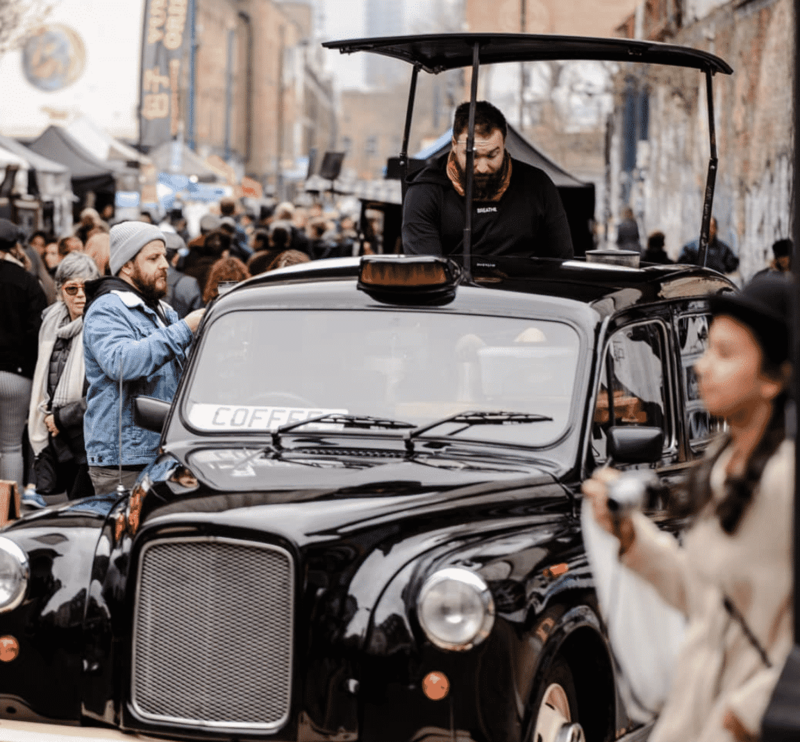 The Black Cab Coffee Co.’s first London outlet was converted into a mobile coffee shop in 2013 and driven to Brick Lane market, where they still work to this day. They now have five cabs which you’ll see all over the city as well as their first actual brick-and-morter shop. 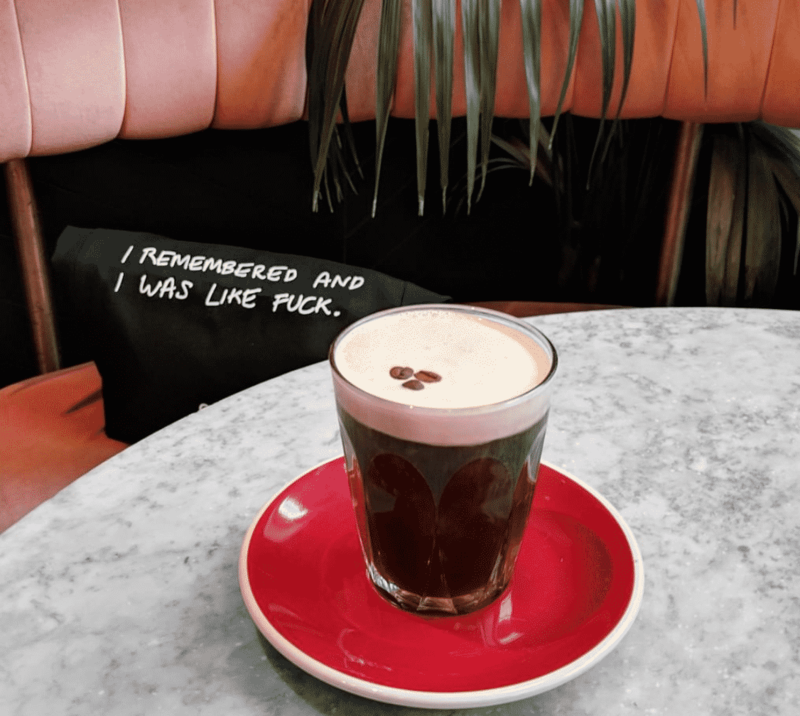 A wonderful story, topped only by the coffee itself. 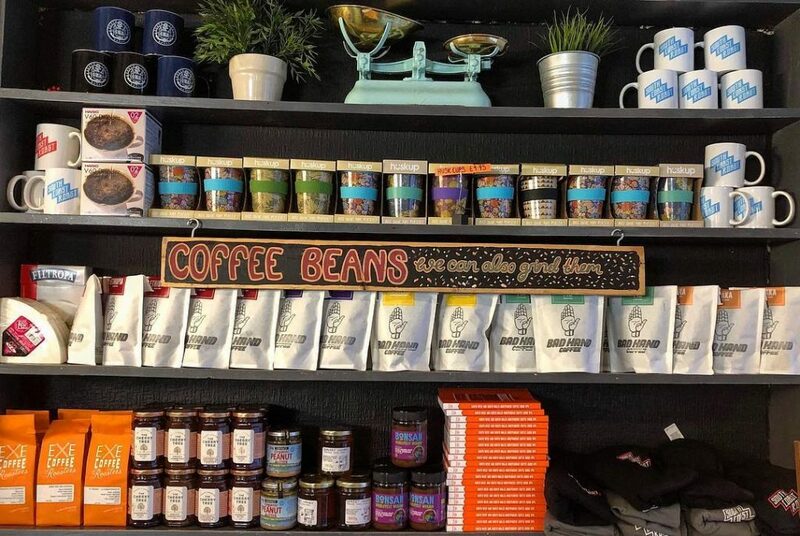 Mrs Atha’s is an independent family-run coffee shop with an emphasis on good produce. 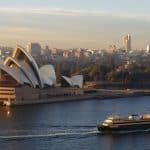 With the help of some wonderful suppliers, they aim to provide their customers with the best experience possible. The result? Perfect coffee time and time again. 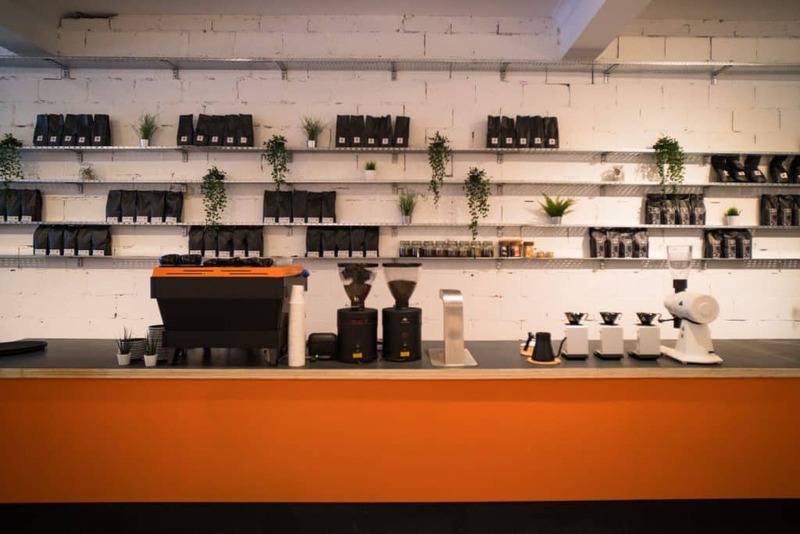 The original outpost of the fantastic Grind coffee stores, the cool Shoreditch location serves coffee, food and cocktails up to 18 hours a day. The smell of fresh coffee is heavenly, and the 50s diner style is the perfect backdrop to your espresso. 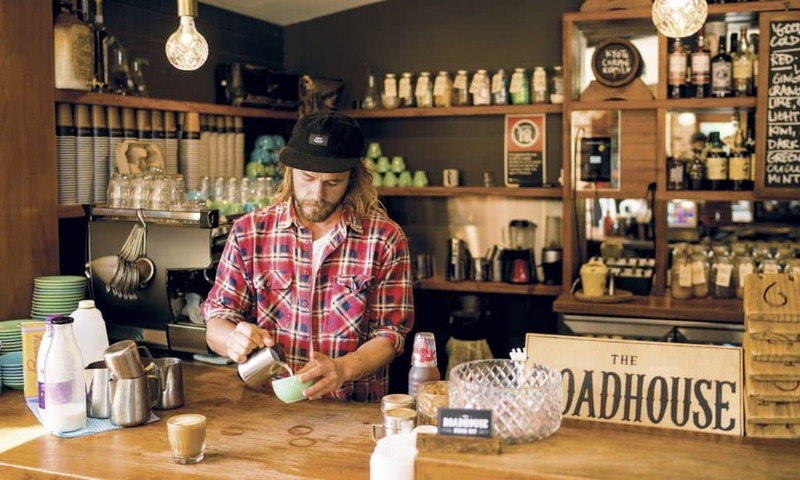 A kiwi inspired coffee shop that will quickly become a favourite as soon as you visit it. Their coffee is outstanding but the brunch is what will keep you coming back on a regular basis. A wonderful place to spend some time chilling with friends. 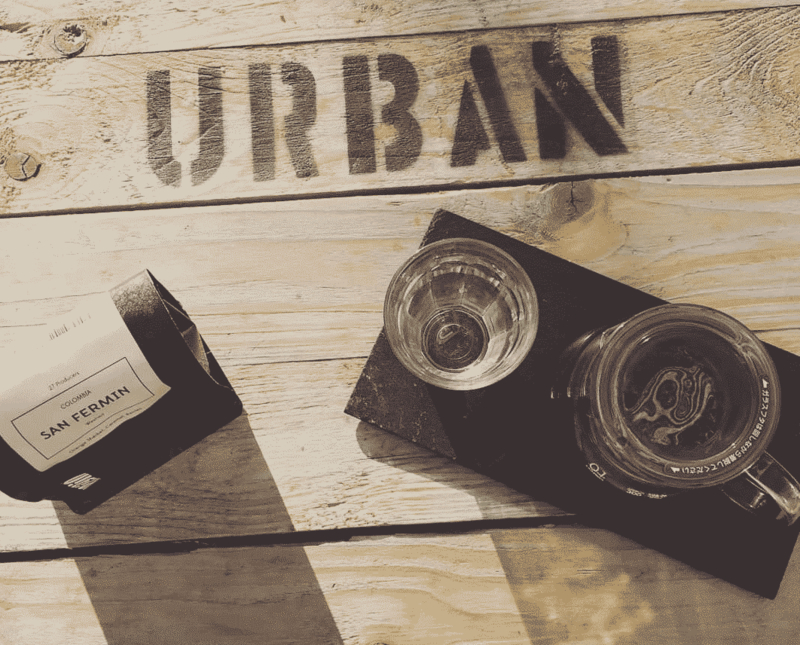 Since they launched in 2009 it’s totally fair to say that Urban have changed the entire coffee scene in Birmingham. They’re always pushing for better standards by making wonderful cup after wonderful cup of the best beans. Their café at the roastery is situated in Brighton lanes and offers a fresh food menu, with mainly organic and locally sourced ingredients. Their food is the perfect compliment to coffee that tastes so fresh, rich and deep in flavour you’ll be buying some to take home with you. All coffee should taste like this. 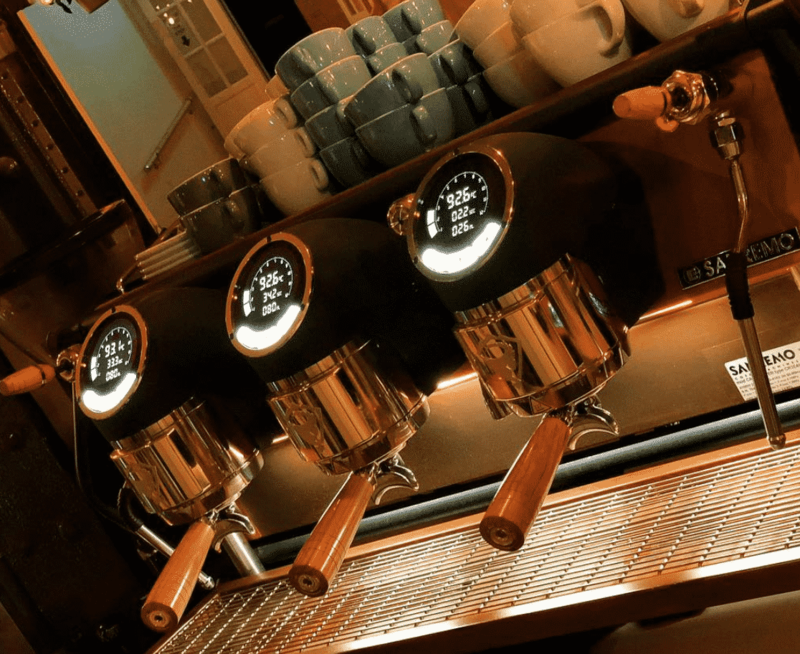 Shining the light when it comes to great coffee in Leeds. Throw in some of the best baked goods you’ll ever taste and some great breakfast items and it’s the sort of place you’ll never want to leave. You’ll certainly stay for that second cup. Pure goodness. 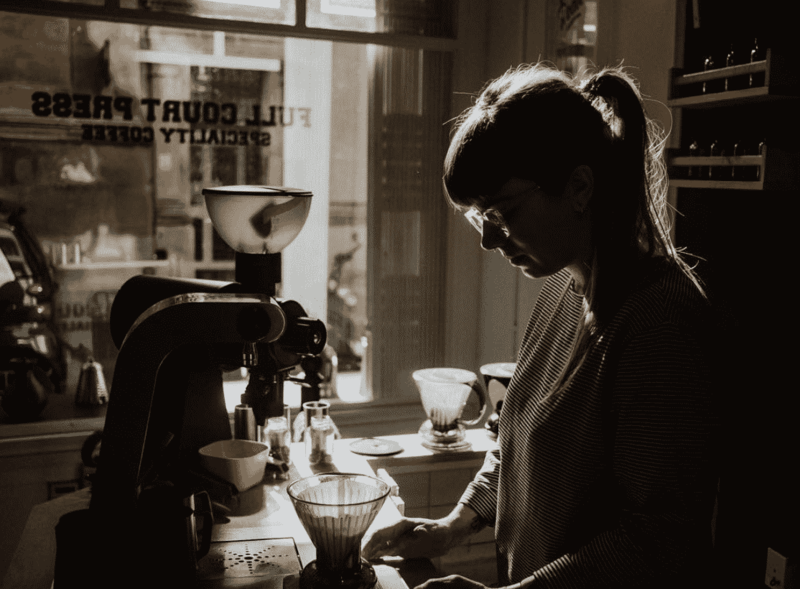 They’ve been serving amazing espresso, filter, cakes & sarnies in Bristol’s Old City since 2012 and have built up loyal and dedicated following. 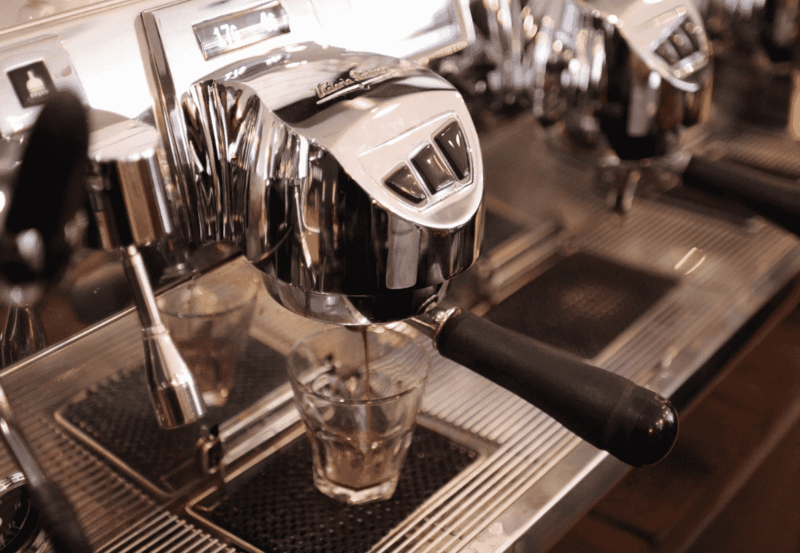 Serve all types of coffee as you would expect but the clue is in the name…try the espresso. Best known for their weekend brunches when customers cram in and queues are often out the door. Their coffee though stands on it’s own as one of the best cups in the city. Throw in great cocktails and there really is something for everybody here. 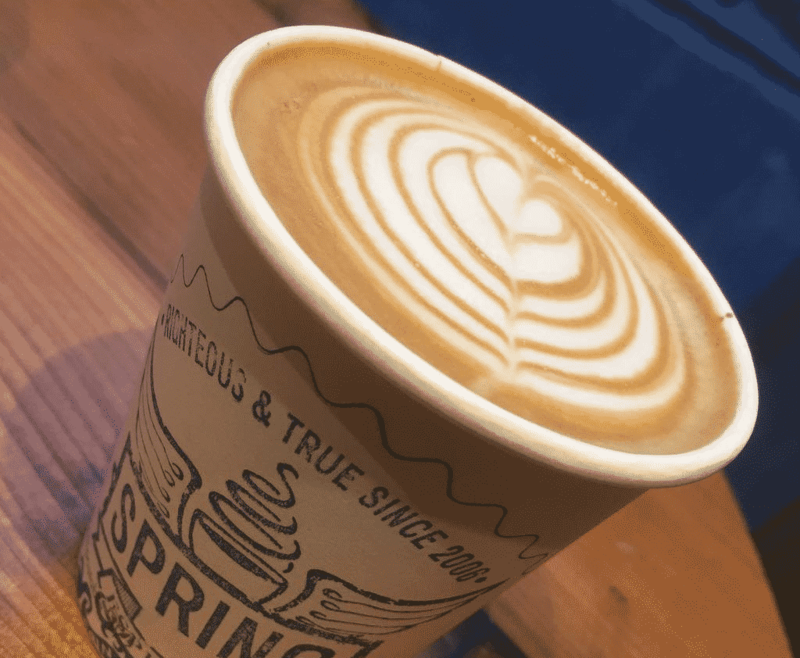 Distinct, characterful, speciality coffee is at the core of what they have been bringing to the Sheffield coffee scene over the years. Their focus is on traceable, sustainable and impeccably roasted beans which means the end result is like coffee Nirvana. A passionate group of people who are absolutely obsessed with good coffee. Place huge emphasis on training and education as well as sourcing their coffee ethically. The end result is a cup that many Londoners will say is the best you’ll ever taste. The fuss-free, contemporary menu at The Epiphany focuses on high-quality, locally-sourced and seasonal ingredients, treated with love and care. 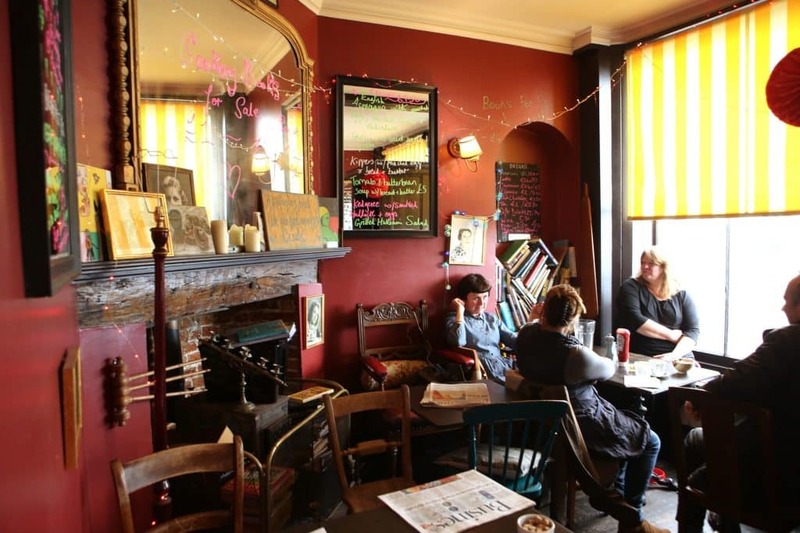 The cafe is the brainchild of Alex Zeal (The Bristol Barista) and Bethen Reid. 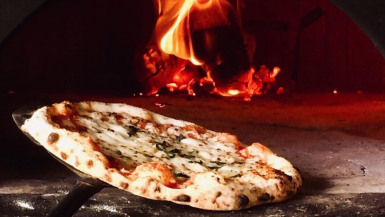 You’ll struggle to find a better food and coffee offering in the country. 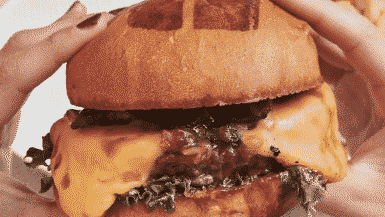 Best known for doing an incredible brunch menu which they serve 9-5, 7 days a week. Great brunch without great coffee though just doesn’t fly but luckily they’ve absolutely nailed it here and make some of the best coffee in the area. A delight of a place in which to spend time. This wonderfully colourful bakery first opened it’s doors back in 2011 and has since built up a massively loyal customer base. You’ll come for their baked goods and but once you taste how good the coffee is you’ll be hooked for life. 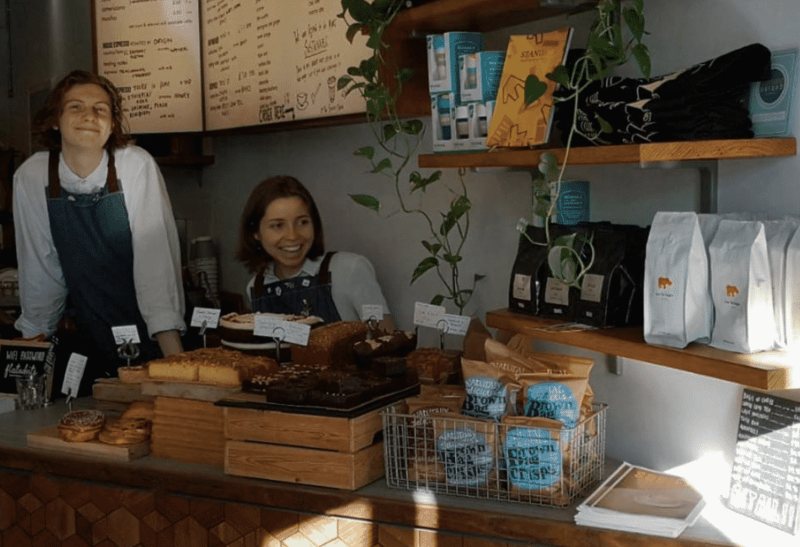 The company actually started out in 1998 in New Zealand (where they still have 2 shops) and has evolved in a much loved beacon for London coffee lovers. A wonderfully buzzy room where you are bound to stay for a second cup. Run by Alex who brought huge passion for coffee from Australia and Sam who fell in love with the idea of having a coffee shop 4 years ago. 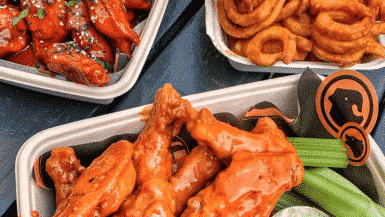 Their focus is on super high levels of service and an end product that is simply divine. 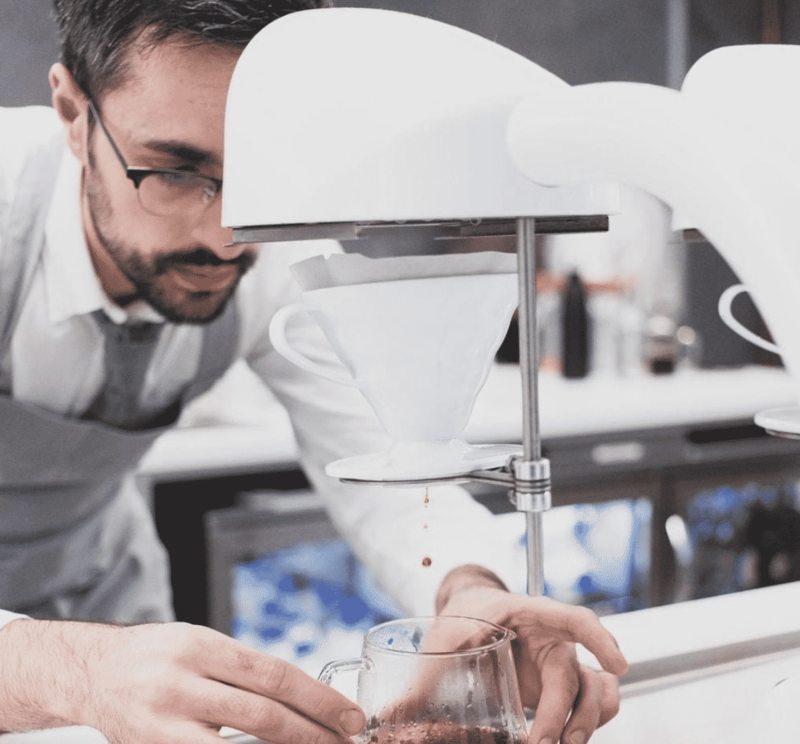 They place a huge focus on “honesty” from how they serve their drinks to how they explain the huge focus they put in to knowing everything from the “picking to the brewing process”. A perfectly sized warm, charming and picturesque room in which to spend drinking really good coffee. 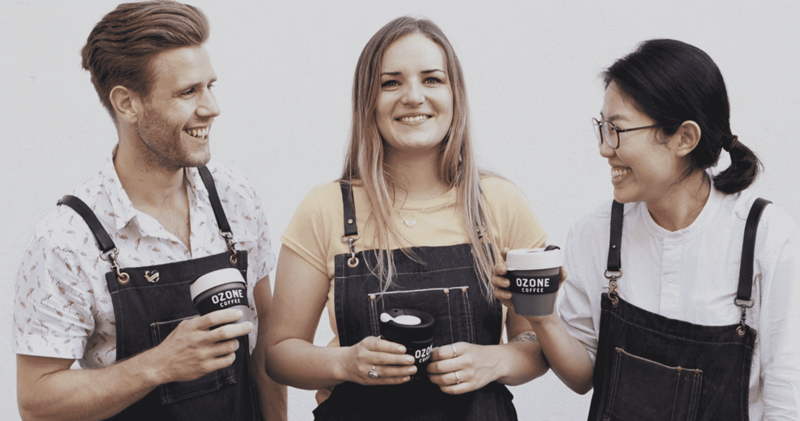 They claim to be Newcastle’s first specialty coffee house established way back in 2010 and they have been leading the scene and pushing a third wave of coffee since then. You’ll find them on Carliol square serving coffee, food and cakes. 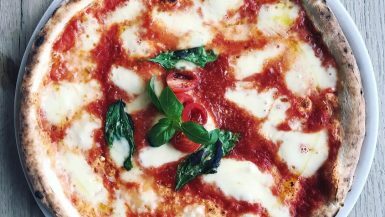 Vegan, vegetarian, Gluten free friendly. They also encourage your to “Bring your children, bring your dog and relax”. Passionate about both tea and coffee so the perfect place to bring friends who’d prefer a mix of drinks served at a high level. The place comes into it’s own in the warmer months when customers spill outside with their drinks into the sun. 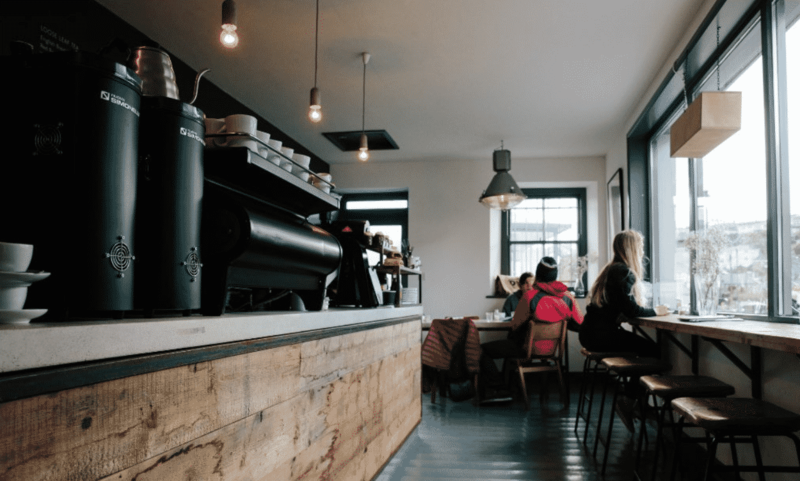 Speciality coffee, delicious food and a focus on building community via coffee. Their sweet treats including doughnuts, muffins, cup cakes and pastries are as good as any you’ll find in the country. Their flagship stores opened in 2014 as is housed in a beautiful 17th Century coaching Inn, it’s a little corner of peace and quiet just off the hustle and bustle of Market Square. The constantly buzzing room and super loyal customers tells you all you need to know about the standard of the coffee. 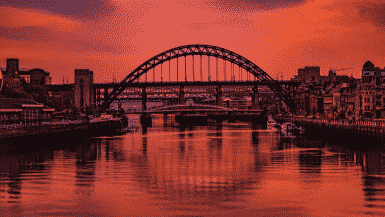 Locations around the city and some of the most passionate and knowledgeable staff in the business. Their dedication to the craft of coffee and the precision with which they prepare their drinks (especially the espresso) is a joy to watch. No rural places in the list. I know of at least half a dozen in Yorkshire alone that should’ve been listed! I’ve been to a good amount of these, but I’d say the best tasting coffee i’ve ever had is Coffee Aroma in Lincoln. It really doesn’t look like much from the outside, but it is fantastic. Also Bread & Honey and 96 degrees in Leicester, Hot Numbers in Cambridge, and Foundation Coffeehouse in Manchester. Great one! 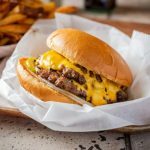 Nottingham’s Outpost and Specialty should have been on the list.